To accompany its current exhibition We Need To Wake Up Cause That’s What Time It Is, Luhring Augustine gallery opens a second show featuring works by Glenn Ligon. What We Said The Last Time presents inkjet prints and curatorial projects from the American conceptual artist. Ligon explores race, language, desire, sexuality and identity through intertextual works. His corpus is inspired by renown texts and quotes that he incorporates in his paintings and installations. 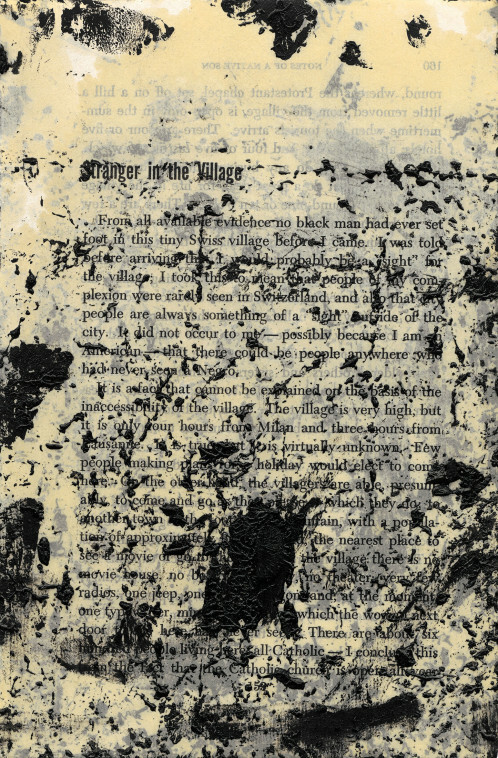 For What We Said The Last Time solo exhibition, he created seventeen inkjet prints inspired by James Baldwin’s 1953 essay ‘Stranger in the Village’. 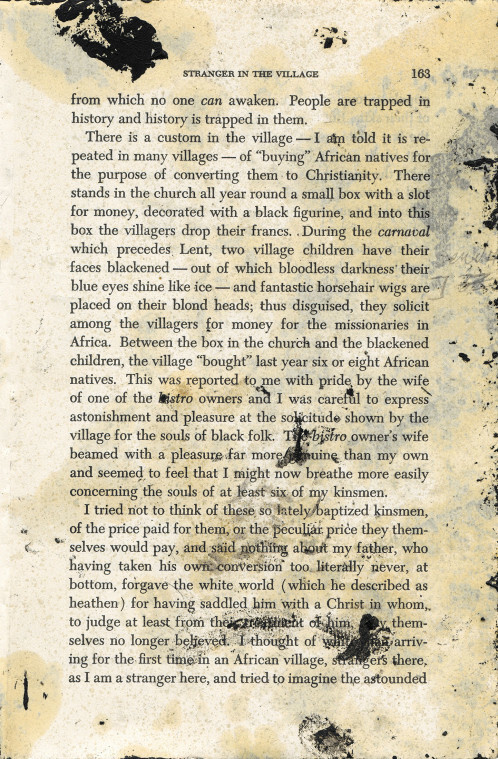 Thus, pages of the novel are transformed into large-scale prints referring to Ligon’s exploration of language and abstraction. Along with the prints, his curatorial project Entanglements, is on display. It presents artists and their studio. As part of this curatorial enterprise, Bruce Naumans’ Violin Tuned D.E.A.D. (1968), a video installation showing the artist relentlessly playing the same single note on a violin, is shown as a reference to civil rights workers and African American history.